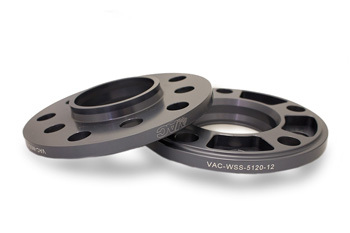 VAC Motorsports Billet wheel spacers the strongest and lightest wheel spacer on the market. Made right here in the United States. Our 12mm spacers are the best you can get. VAC: The BMW parts innovator introduces our latest version! Our 20mm BMW wheel spacers little works of precision art. Fits all BMW 5x120 cars with 74mm hub flanges. VAC Premium Lug Bolts – Need lug Bolts?